Gas oven technology was available in the 1820's, but it was not until 1880 that gas main supplies were becoming available to make gas cookers a useful household appliance. Gas cookers require a heat source for ignition and many of the early cookers have a pilot light. These cookers burn a small amount of gas constantly to ignite the burners when they are switched on. The gas used is naturally odourless and leaks can lead to suffocation, so the gas has foul smelling chemicals added to make any leaks obvious. This is a safety feature that is needed to prevent inadvertent suffocation. 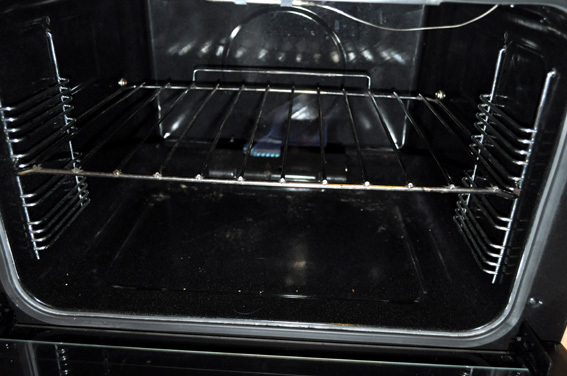 Gas ovens are heated by a burning flame at the oven back. In bright light, this flame can be almost invisible. The top of a gas oven is naturally hotter than the bottom, so bread is best baked in the middle of the oven to cook through evenly. Modern gas cookers have overcome many of the safety issues that plagued the earlier appliances and they are now extremely safe cookers. 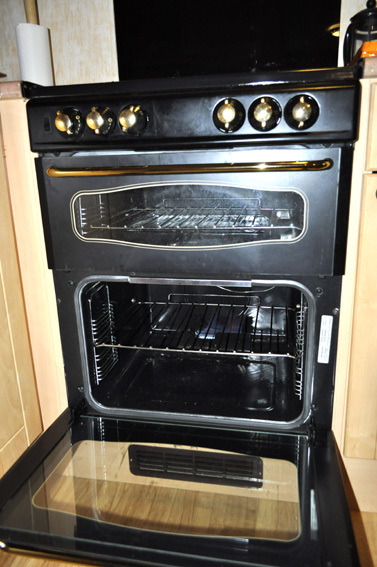 However, a gas oven is not as efficient and clean as an electric oven and many people favour a combination appliance that has an electric oven and a gas hob. The gas hobs are much more controllable for pan cooking. Another addition to many modern gas cookers is the use of electric ignition, which means that the gas is off when the switch is off as there is no pilot light.